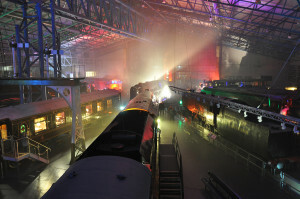 The Great Hall at the National Railway Museum at York was the singularly impressive location for the 7th annual ‘Locos in a Different Light’ competition. Sponsored jointly by Ambersphere Solutions and Pulsar Light of Cambridge, the aim is to challenge six teams of students from different colleges across the UK who are studying technical lighting at Further and Higher education levels, to each light one of the iconic locomotives in the Museum’s Great Hall. Each team is given a selection of lighting fixtures, an MA dot2 console and two hours to rig and programme their chosen design. Even for those not smitten by the sight and smell of these gigantic engines, there can be no doubting the very real challenge of successfully illuminating one of these heaving beasts of yesteryear. 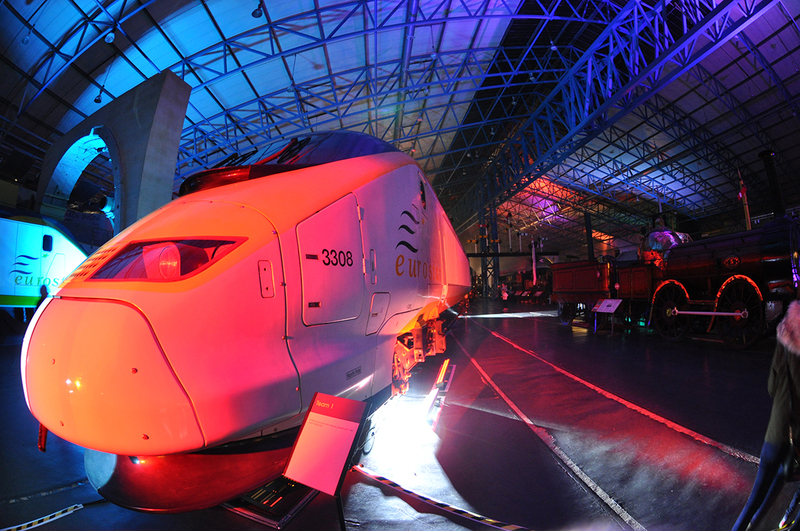 With a limited number of fixtures and with some of the locomotives up to sixty metres in length, not to mention being a 3600 canvas to cover, the teams had a real challenge on their hands. To guide them on their way were Chris West, Ambersphere’s Training & Support Manager and Dave Cowan, International Sales Manager for the Architectural & Entertainment Department at Pulsar. A busy day began with an introductory talk from Chris and Dave. 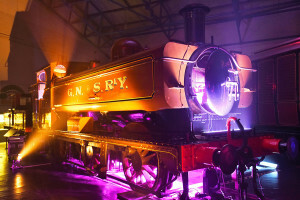 The teams were each allocated a locomotive: this year there were four steam engines ranging from the smaller Aerolite and Pannier Tank to the massive streamlined forms of Duchess of Hamilton and Winston Churchill. From the diesel age is the Western Fusilier and finally the 1st generation Eurostar train. Each team was given a set of lights from Pulsar and Ambersphere that comprised a combination of static architectural LED floodlights, battens and a PowerPix from Pulsar and moving fixtures from Ambersphere: Clay Paky K20 Washes and NandoBeams and MagicDots from Ayrton. There were also a selection of generic lights and a six-way dimmer pack if they wished to use them. After a generous lunch kindly provided by the National Railway Museum, each team was given a timed tutorial by Chris and Dave, explaining the features of all the fixtures and showing each one in action. Dave was careful to describe the possibilities of each one. Then Chris spent the second stage of the tutorial running through the basics of the MA dot2 console and demonstrating how best to use the board to achieve their planned design. 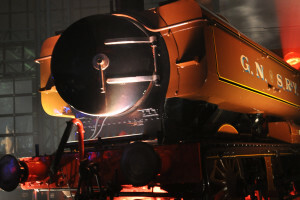 The results proved their adherence to the guidelines and enthusiasm for the competition: Rose Bruford College used their colour choices to highlight the Winston Churchill as the locomotive that carried the great statesman home to Blenheim after his funeral in London. Their gobo was handmade from a drinks can. 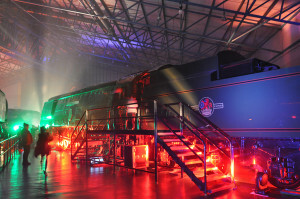 The University of South Wales had some distro issues with lighting the huge length of the Duchess of Hamilton but used their lights to delicately emphasise the art deco design of the locomotive. 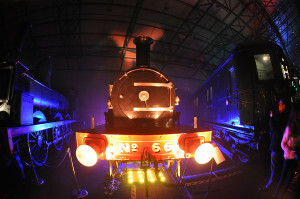 But proving that teamwork was the all round winner of the day, it was a hybrid group of students from York College and Stratford who scooped first prize, using the dot2 to programme a sequence of different lighting scenes on the Pannier Tank engine that starred in the film ‘The Railway Children’.